Got this TED video recommended by a friend. 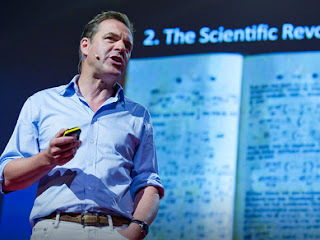 Niall Ferguson who is a British historian specializing in in financial and economic history, particularly hyperinflation and the bond markets, as well as the history of colonialism explains briefly in this 20-minute presentation the 6 killers apps West used to create the huge amount of wealth and prosperity in the last 200 years. He says these apps were what differentiated the West from the rest and caused the huge divergence in the level of living standards and the best news is that these apps are "open-source" i.e. share-able and adaptable. And in fact that's what many of the rapidly developing Asian and Latin American countries doing, i.e. downloading and using them. Well, I find the future of Nepalese society pretty much bleak as we have been inept at using these apps so far and if the trends of Nepalese political and social discourse were to be followed we are very hostile to these apps. We doubt the "open-source" nature of these apps and instead prefer to consider them as "proprietary apps" developed by the West. Majority of our political leaders and public intellectuals believe apps like Property Rights, Competition and Consumer Society are in fact viruses and malware and getting rid of them would bring prosperity in our society although anyone with common sense will fail to see how apps that have worked "miracle" everywhere else can still be malware to our society. Even the supposedly fans of these apps such as private sector, civil society and entrepreneurs are trying to destroy these apps. Labor unions are hell bent on sending work ethic to recycle bin. In this context, I hardly see these apps making any changes in our lives. What do you think?